I am really blessed to live in South East London with so many beautiful parks around us. And when you have children, these places become your second home (whether you want it or not!). As a family looking to have a family photoshoot, these parks tend to be the first obvious outdoor option because your children know it by heart and you know you will feel at ease there (it’s your second home, after all…). I picked a few of my favourites near me where I have shot natural and relaxed family photo sessions. 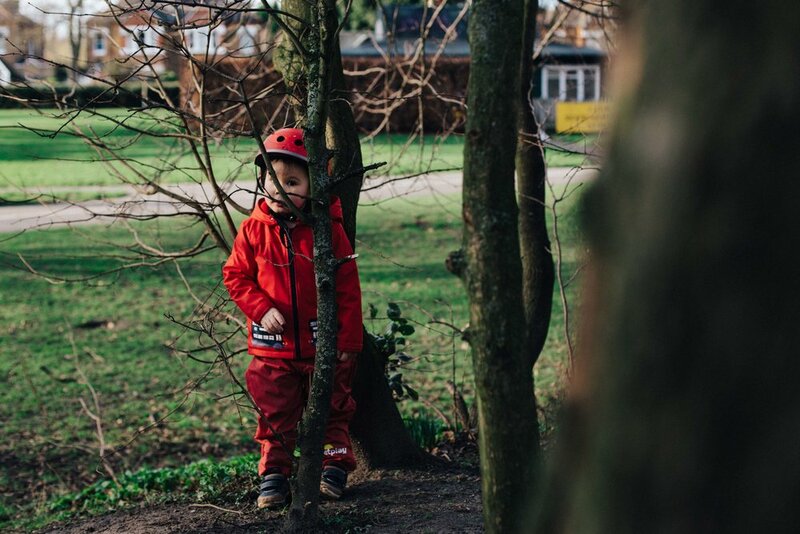 The ones that help me be more creative are the parks that have space (for clean backgrounds), hilly (great to capture kids running), with trees (for hide and seek, climbing or collecting leaves) and wildlife (guaranteed entertainment with the children). I usually try to avoid the playgrounds as their structures and colours are not visually attractive on camera but I know children can’t resist them. They can occasionally create some fun photos as you will see below. Having images of your children in your favourite park will certainly trigger fantastic memories years later, I can bet on it. The first time I visited Beckenham Place Park, it was still a golf course and I remember thinking: “What a shame that this massive space is used by just a handful of people!“. Luckily, they said goodbye to the golf course (I still hear some senior people moaning about it when I go there, oh well!) and hello to Beckenham Place Park, a spacious and beautiful park. The mansion stands proudly at the top with views over the trees, the green open space and the woods. It’s great they kept the bunkers reminding us of its recent past. They are doing lots of work to it and it will certainly become a very popular park over the years. Let’s hope the cafe will get a well-needed upgrade too. Beckenham Place Park ticks all the boxes as a backdrop for family and children photos. Hills: check. Clean open background: check. Trees to climb on: check. Woods: check. Beautiful views: check. A true winner. Located in Beckenham, this park is a truly charming space making it easy to switch off from the busy high street. Its charm comes from the lake, right in the heart of it, with flocks of fearless birds and squirrels following you for food. I particularly like the fact that you can choose which path you prefer: the one allowing dogs and the one NOT allowing dogs. Personally, I always head towards the dog-free one, I find it less stressful with young children. Of course, that’s a personal choice. Also, the other side has the playground, usually packed. I prefer the quiet side with a green space to play football and small woods for some hide-and-seek moments. These girls had a great time running free in Kelsey Park during their photoshoot. Lots of trees and the lake make it a great background. Crystal Palace is the Hyde Park of South East London, shall we say. Everyone knows it and everyone goes there. Famous for its 19th-century Victorian stone dinosaurs, it also hosts a small city farm, a skatepark, a maze and two proud sphinxes. But that’s not it. There’s also a lake with pedalos in the summer. To me, this park gives lovely backgrounds for children and family photographs, places to hide and open spaces. The best way to enjoy is to start your walk from the top of Crystal Palace hill and walk down. It’s hard to avoid the playground with children (my son always wants to go there, he’s attracted like a magnet!) but you can enjoy a hot drink (or an ice cream in the summer) while patiently waiting. And leave the park from the Penge exit. Voila. You’ve successfully experienced Crystal Palace park and your kids are exhausted, ready for a quiet time at home. Job done. This small Beckenham park might not be the most spectacular one in the area but it’s one of my locals so I felt I needed to talk about it. It has great paved paths for prams, scooters and bikes and the playground has some good open-space with a small hill in the middle. Trees make great hiding places and give good shaded spots in the summer. It’s funny how an ordinary park becomes special simply because you’ve gathered so many memories there with your child. I used to walk there pushing my pram in the early days and now I’m usually seen running behind my son while he’s scooting. Times change but memories remain. Trees and greenery make great photo backgrounds for a family photoshoot. Of course, there are many more green places in South East London but these are my first go-to parks in my area, outside Dulwich park, obviously. I’m also planning to share on my blog an easy walk in Kent that we love doing as a family. If you don’t want to miss out, sign-up to my enewsletter to receive my latest blog stories, photography tips and local family activities: Marion & You Photography enewsletter. Interested in booking your family photoshoot?